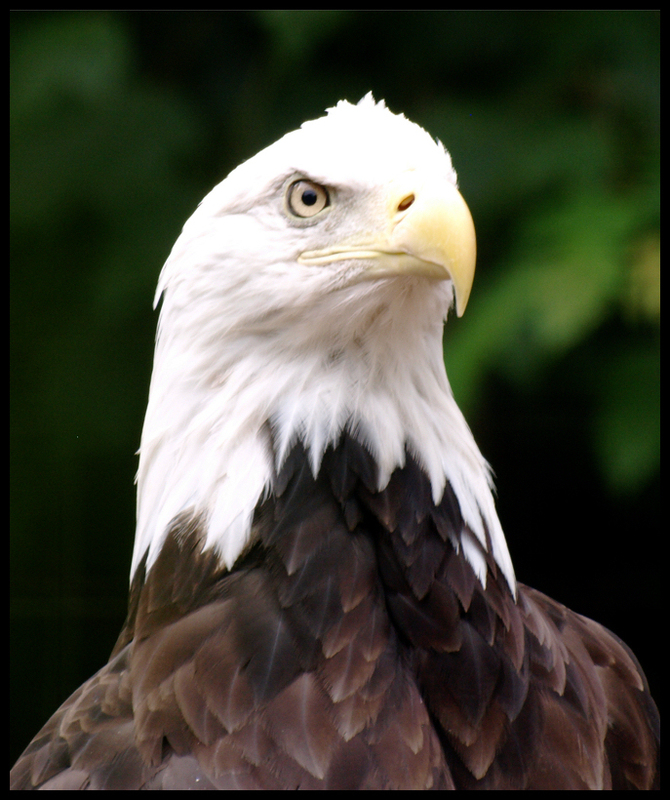 Meet some of our birds of prey as you scroll down through the photos on this page. 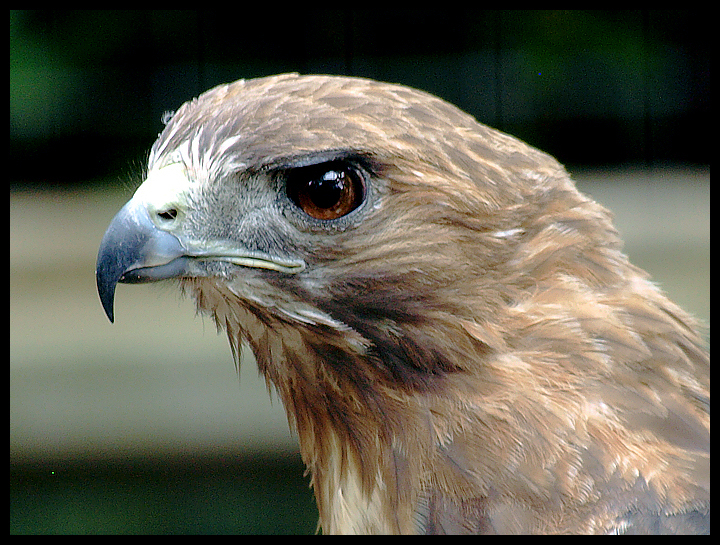 I find the various raptor species to be particularly intriguing and beautiful. 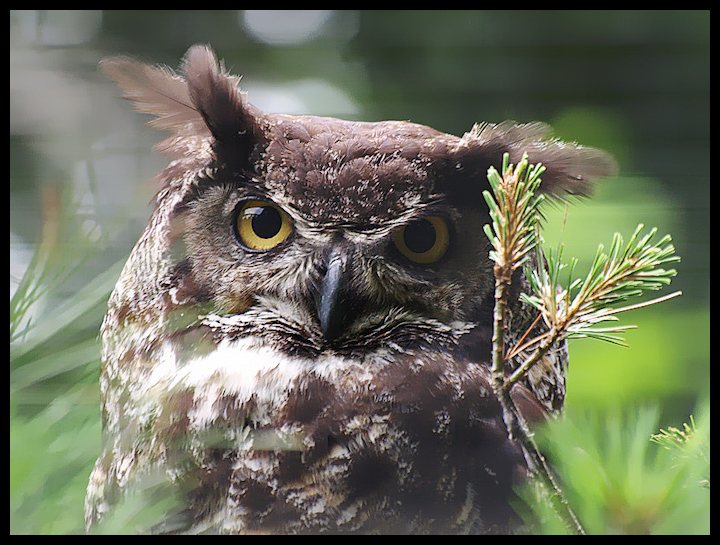 Most of these shots were taken at Shubenacadie Wildlife Park, where such birds are often brought for rehabilitation. 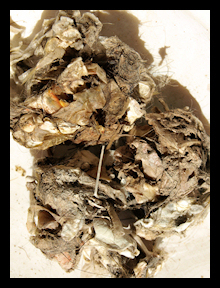 I have noted those photographed at other locations. 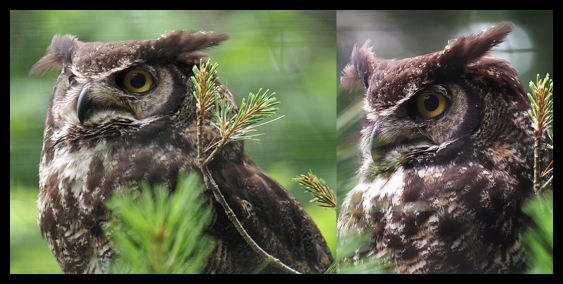 Juvenile birds visit my koi pond each August, but predator lines keep them from diving. 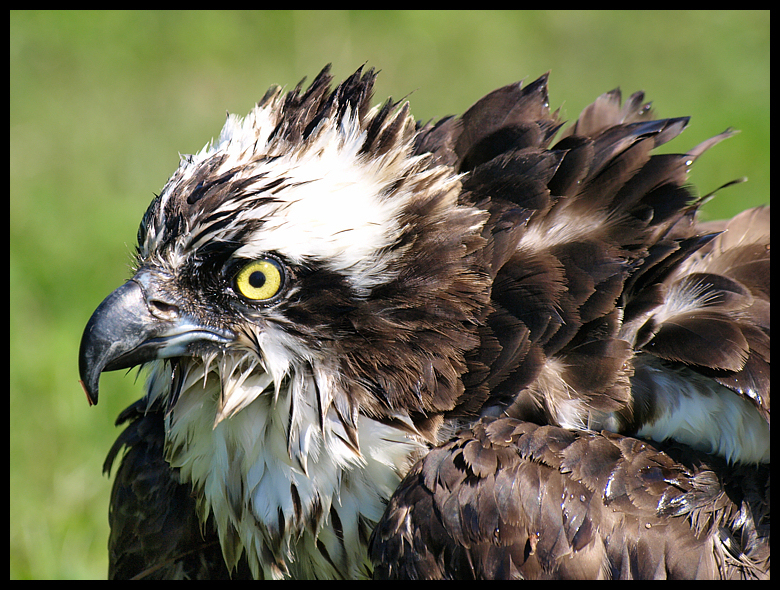 Young osprey are sometimes mistaken for bald eagles; however, the osprey's beak and talons are slate grey whereas the eagle's are yellow. 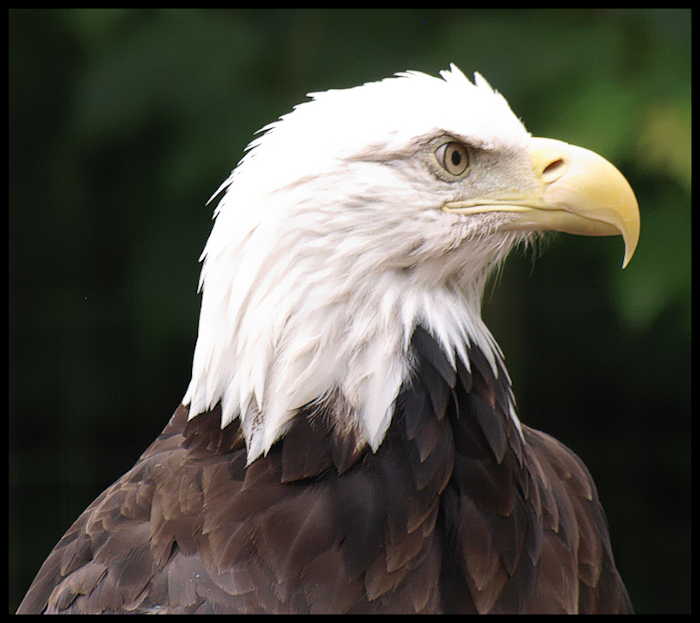 As well, bald eagles are solid brown except for their tails and (in adult birds) their pure white heads. 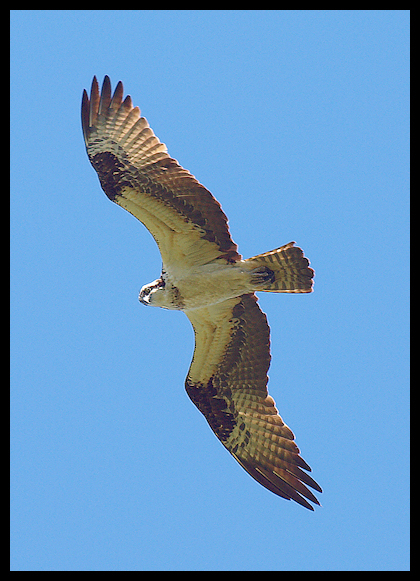 An osprey has a dark brown line extending through the eye area, and barred cream and brown feathers with a typical hawk's tail pattern. 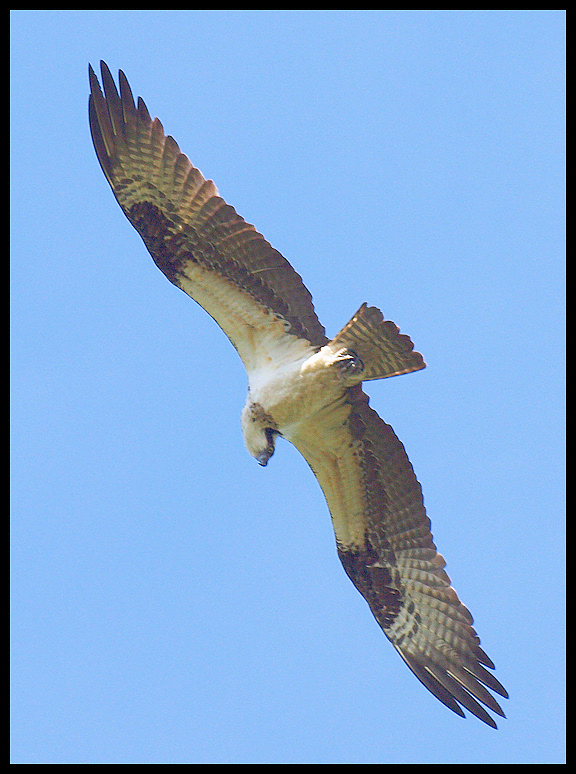 Older osprey are lighter in colour. 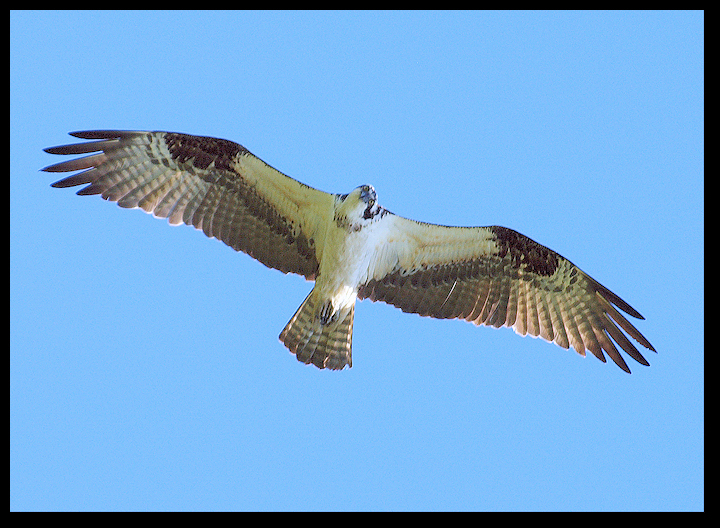 And of course, an adult eagle is a much larger bird than an osprey although both are wonderful to behold in flight.